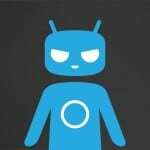 Here is a complete list will all Samsung devices that received the CyanogenMod 10.1 M3 stable release of the ROM. After you download the installation files, you can follow our tutorial about how to install CyanogenMod 10.1 M3 on your Samsung device. Read the instructions carefully to make sure nothing bad happens to your device.